The reason for this is to help benefit storyboard artist Joey Adams and his family. Joey Adams is experiencing the unimaginable. He nearly lost his twin boys over the Christmas holidays, due to a possible genetic illness. Two years ago, he and his wife Ginger, lost their daughter, under similar circumstances. The boys survived, but baby Ian is currently undergoing gruelling chemo, while undergoing extensive genetic testing. He will need a bone marrow transplant, and his brother Henry may need one as well. Needless to say, all of the treatments, missed days of work, have caused a huge financial burden for the Adams family. If you would like the help the Adams family trough this rough time, you can visit their website at supporttheadams.com and make a donation to their PayPal. We at The MBS Show wishes all the best for the Adams family and our prayers goes out to you. 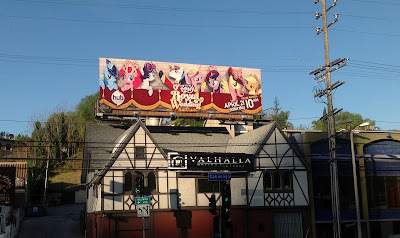 New advertising billboard is up in LA promoting the My Little Pony Royal Wedding. 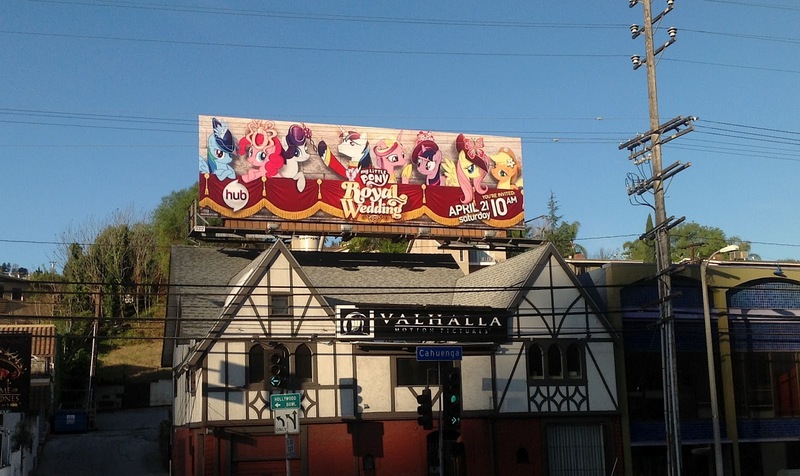 The co-founder of Valve Gabe Newell admitted that he is a brony. In a recent interview on Geek A Week.net, Gabe Newell was ask “Is they anything you secretly geek out about?” and his answer was “I watch My Little Pony”. The My Little Pony Friendship is Magic DVD and CD is on sale on amazon.de (the Germen version of Amazon.com). They are 2 DVD on sale now and each DVD contains 3 episodes, the CD are just audio drama of the episodes and each CD have 4 tracks. Today’s guest is Jimmy Lee or better known as (mm mandarin orange); he’s known for his works on PMV. His most popular PMV is “The Stars Will Aid in Her Escape (Cosmic Love)”. Listen to him talk about how he got started in making PMV and maybe you too can learn a thing or two from him. I realize this suggestion might not be worth the time and effort, but it's just my 2 cents.